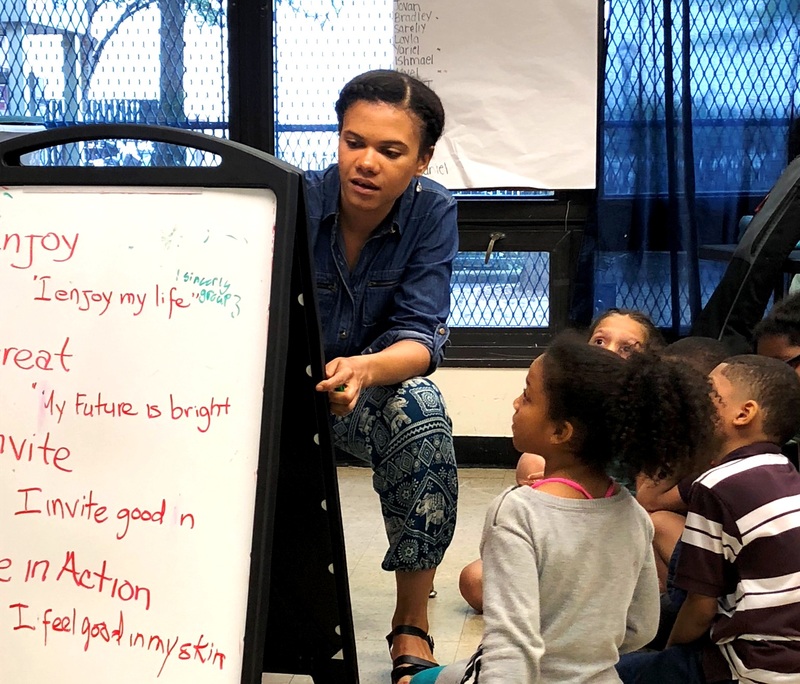 Brooklyn-based visual artist and educator Judy Richardson is currently conducting an AH in-school residency for 3rd and 5th graders at PS 279 in the Canarsie neighborhood of Brooklyn. Associated with AH since 2006, Judy is an experienced teaching artist who has skillfully used a variety of visual art mediums to enrich students, teachers, and administrators at over 25 sites. Judy and Donovan Nelson, another AH teaching artist, are currently engaged in residencies as part of a year-long arts education program at PS 279. This school is a longtime and regular partner of AH, and this program was started last year with Judy and Donovan. 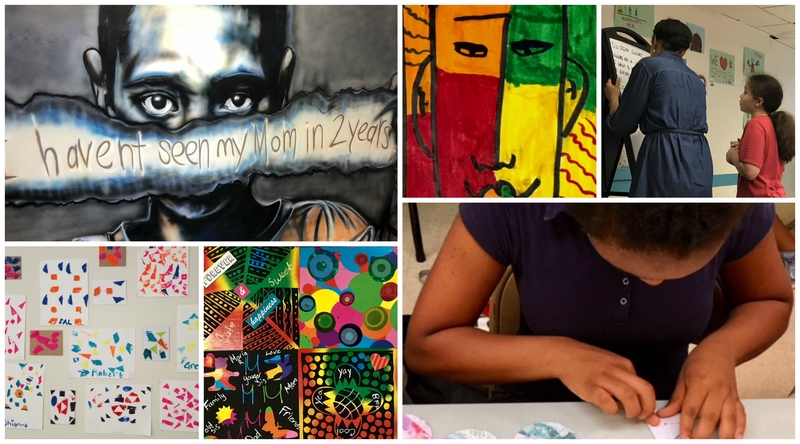 Due to the overwhelming success of their residencies, PS 279’s administration decided to continue the full-year arts curriculum with both AH teaching artists to reach grades K-5. AH’s new program coordinator, Kiran Rajagopalan, visited one of Judy’s classes earlier in January at PS 279. Let’s take a quick peek inside one of her classes! Judy’s AH residency closely aligned with what the students are currently studying in American History. 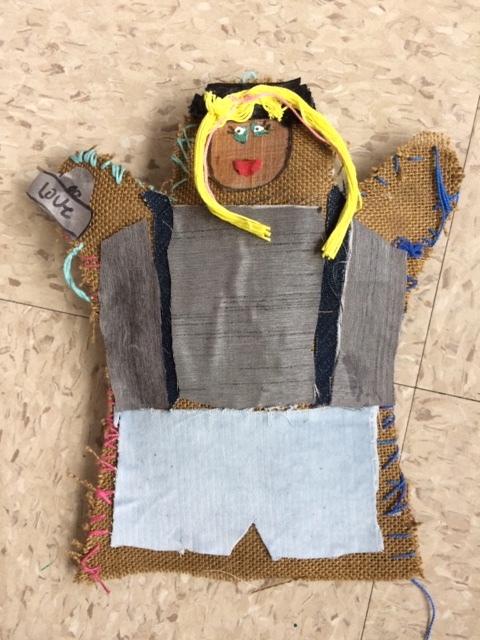 In the picture above, Judy is working with the 3rd graders on making dolls in the likeness of three “Heroines in History” – Rosa Parks, Clara Lemlich, and Betsy Dowdy. Students are taught the basics of sewing including how to properly thread a needle and knot the string to begin or end a series of stitches. They are then given yarn, sequins, cloth scraps, and other materials in which to decorate their dolls. One student commented on how she was “nervous at first to sew because” she was “afraid of needles.” However, with Judy’s guidance, she overcame her fear and is now “much more confident” with sewing. Likewise, Judy’s 5th grade classes are working on creating a large Freedom Quilt using coded patterns created from the Underground Railroad. Students learn the basics of quilting and then create their own quilt squares with hidden messages! These squares will then be stitched together into a larger class quilt. Judy’s AH residency will culminate with a wonderful exhibition of the amazing work done by students throughout the spring semester. The 3rd graders, in particular, will introduce their characters during a puppet show interview.